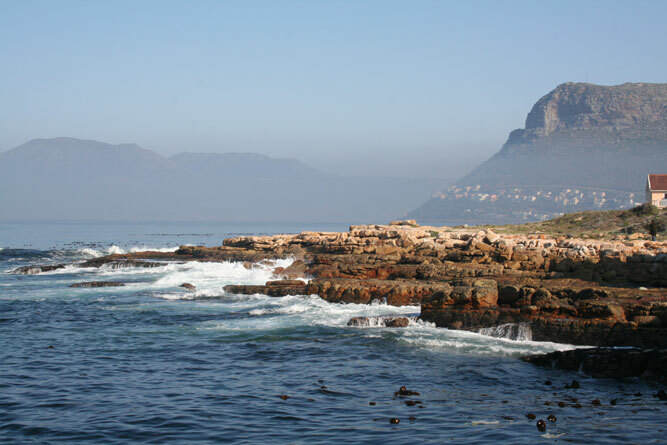 Early on a Saturday morning we set out to explore Cape Town not expecting more than a train ride and good food. At Brackenfell station we buy our ticket into the city and wait on our train in the coldish morning sun. From far away we hear the sound of train. The train stops at Cape Town station. 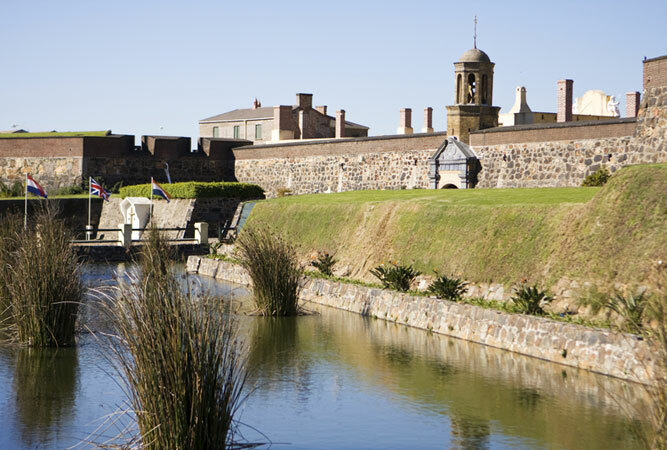 We decide to explore The Cape Town Castle which is just across the road from the station. In the many years that I have know this city, this would be the first time that I have crossed the stream that would take me into a different century. We have to run to be in time for the cannon demonstration, carefully the process of preparing it is shown and then… The day starts with a bang. We explore every nook and cranny of The Castle and tiredly find our way to a patch of grass where we decide to just sit down and watch the other tourists. Then the cannon echoes again, a perfect sound that fills the courtyard and resonates into your soul. 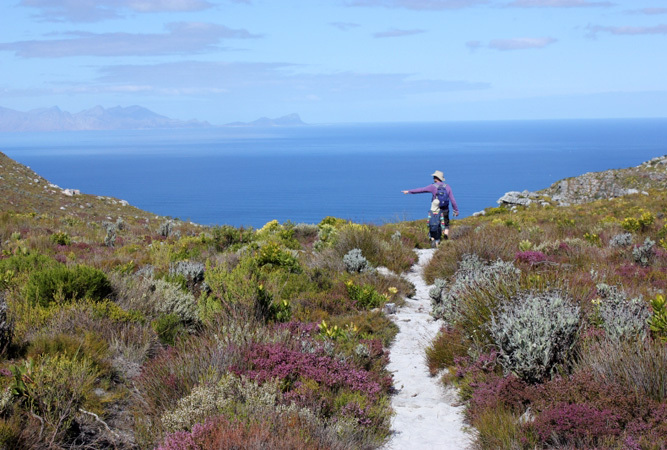 A day pass from Cape Town Station to Simon’s Town only costs you R30 but the experience is worth a million smiles. 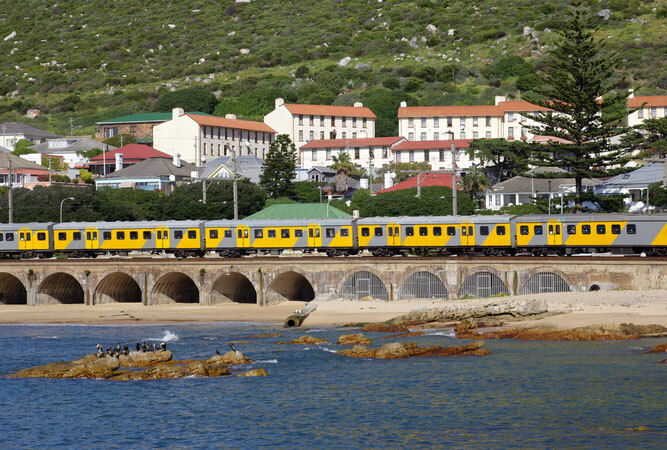 The train starts following its own way … past Woodstock, Newlands, Mowbray and finally we get to smell the morning as given by Muizenberg. One more station. 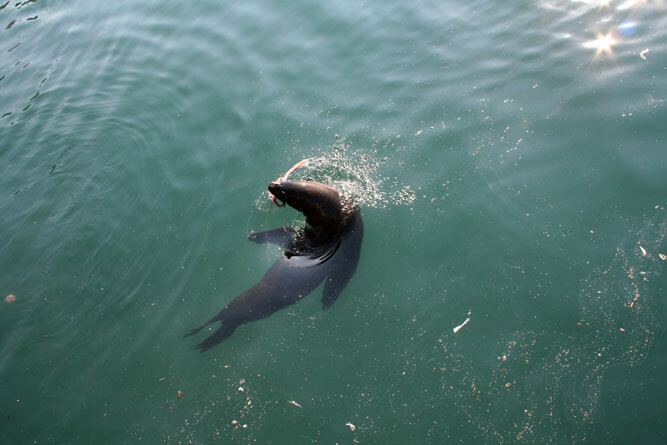 Kalk Bay. Already starving we head off and find Cape to Cuba for a view over the harbour and food that stops you from talking out of fear that you might miss one moment of what the spices are sharing with your palette. The afternoon sun gently shares its heat with us as we chat whilst waiting for our bill. Next stop Kalk Bay harbour. With fishing boats completing a perfect picture we share the excitement of everyone here. The fisherman’s wives are selling Snoek and Tuna; it’s almost as if they are auctioning the fish in their rhythmic trained chanting of prices. ‘Snoek Meneer, Tuna, R3o ‘n vissie, Harders…” The chant carries on long after we have left. Kalk Bay has a wonderful collection of Antique and pawn shops. Every piece of furniture and old newspaper helps your imagination seek its story. Intricate detail on every piece of wood allows you to put forward a hand and explore the textures. The rooms are filled to the brim with a thousand people’s histories. Every few metres we are taken into a similar experience. The sun starts to show us a beautiful orange and we’ve not been able to get to half of what we thought we would see, but you can’t plan days like these, perfect moments do not care for your careful planning. We decide on a last stop at Muizeberg before heading back. The train takes us back along with many others on their way to enjoy a weekend night. Eagerly they chat and we are swept up into the night with the rest of the world.